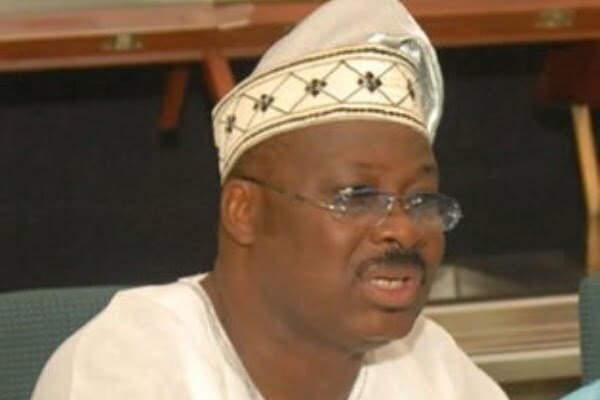 Governor Abiola Ajimobi of Oyo State has called on members of his cabinet aspiring to contest elective positions in the 2019 general elections to resign immediately. Ajimobi made the call on Saturday in Ibadan at a meeting with governorship aspirants on the platform of the All Progressives Congress (APC). The News Agency of Nigeria (NAN) reports that the Governor also met with political appointees aspiring to contest elective positions in the 2019 elections. The governor said that it was mandatory that they resign their appointments immediately, adding that some of them no longer have time for their jobs. The governor stated that resigning would give them the opportunity to concentrate on their aspirations while providing others opportunity to serve. “We still have some months to the end of this administration. They either stay or leave for others to have the opportunity to serve. “You will see that some will not resign. We want to reduce the gamblers. “We want people who are serious; those who are seriously committed to either seeking offices or focused on governance,” he said. Ajimobi also disclosed that unity and progress of the party were among topics discussed at the meeting. He added the meeting also availed those present the opportunity to appreciate the aspirants for their commitment to the party. “It is clear to all and sundry that APC is a party to beat in the state. When you have this kind of position, there is the tendency to have people fighting for positions. “We appeal to them to work as a family. The leadership of the party is ready to accept whatever type of primaries they prefer, be it consensus, direct or indirect. “We want to ensure that we practise democracy in the truest sense. We are happy with the response of the aspirants and they have all agreed on indirect primaries,” he said. The governor, however, disclosed that aspirants had resolved that whoever was chosen as the flag bearer at the end of the primaries would be acceptable to all. Ajimobi expressed delight at the spirit of brotherhood displayed by the aspirants, saying they were all eminently qualified to govern the state. “We have told them to go and negotiate with themselves. You are all eminently qualified. “We are not going to name anybody. The aspirants are in there now discussing with themselves. “They are not desperate people or do-or-die politicians. They have their jobs and they can survive without politics. I think politics is just their vocation,” he said. Among those present were former Gov. Adebayo Alao-Akala, Dr Olusola Ayandele, Chief Niyi Akintola(SAN), Dr Azeez Adeduntan, Chief Adebayo Adelabu, Mr Joseph Tegbe and Mr Olalekan Alli. Also present were Mr Soji Eniade, Dr Morounkola Thomas, Mr Isaac Omodewu, Mr Ayodeji Karim, Dr Owolabi Babalola and Sen. Abdulfatai Buhari. The rest were Mr Kehinde Olaosebikan, Rep. Abiodun Awoleye, Mr Akeem Agbaje, Mr Kolawole Asanke and Mr Sunday Dare. However,the Deputy Governor, Chief Moses Adeyemo, and the Minister of Communications, Alhaji Adebayo Shittu, who had both signified interest in the governorship race, were absent at the meeting. The meeting, which was inconclusive, was postponed till Sunday morning when a communique signed by the aspirants would be made available. NAN also reports that the governor and other party leaders would on Sunday meet with Senate, House of Representatives and House of Assembly aspirants.